Sunny Mesa's Pepperdyne, son of a rare dark rose grey Peruvian with no spots,is sire of true black and rose grey progeny. 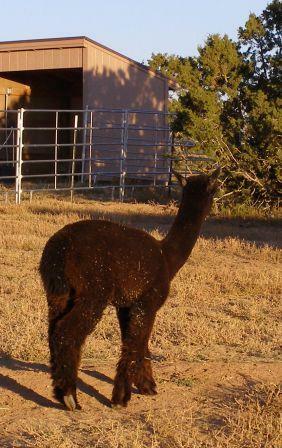 Sunny Mesa's first Pepper cria, Coal Black is winner of reserve color championship showing under three senior judges with comments of exquisite bright fiber with extreme fineness. 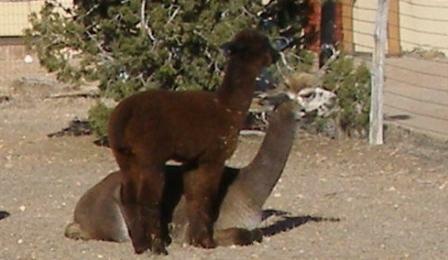 And Pepper has reproduced this quality with two more blacks at Sunny Mesa--Black Velvet and Reilly II. Pepper has unbelievable coverage and low micron fiber (18 microns at the one year test)with wonderful hand. Half interest is offered in Pepper, a male with a proven record for producing exceptional coverage, low micron exquisite, bright fiber with high frequency structure. 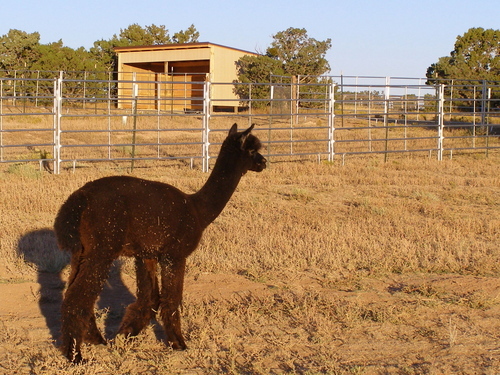 Pepper sire is dark rose grey Peruvian with NO SPOTS and his late Dam, Kachess, one of the best foundation females breeding at Sunny Mesa. Our Dynamo is just a love - a sweet boy with feathery soft fleece - nice conformation, presents well - a great little package. 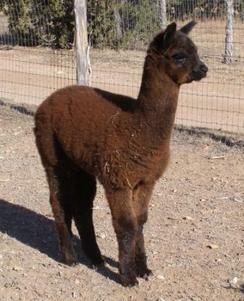 Black sire, Silver Grey dam - offers some great color possibilities and a lovely handling dark fleece. Super nice fiber characteristics. He would make a nice addition to your herd.